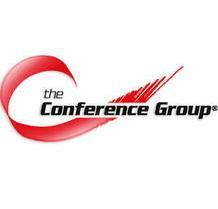 The Conference Group delivers the audio, video and web conferencing solutions your business needs to succeed. Whether you need to host a web conference, audio conference or a full HD video conference, we have the perfect conferencing solution for you. The Conference Group is proud to provide you with the sophisticated technology needed to enable industry-leading teleconferencing and web/video conferencing. With our help, you can leverage the power of a conference call to help your business succeed on a global scale.